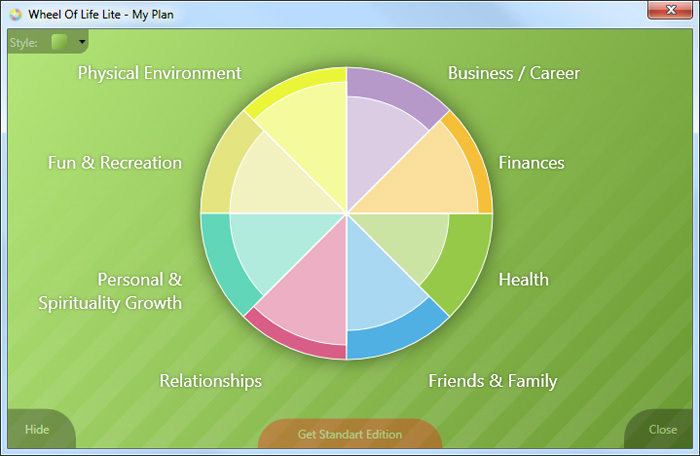 The program helps you to easily determine how balanced your life is by glancing at the main areas of your life, such as: career, money, health, relationships with people, entertainment and other areas. Find out your life balance and determine what you may need to change to make your life even richer and more interesting. Beanie Genie is a database program for Beanie Baby(TM) collectors to use for cataloging their collection of beanies. Coin Tracker is a simple but powerful database program for coin collectors to use for cataloging their collection of coins. Good looking scalable vector graphics. Compatibility biorhythms between you and your loved one or a friend. Print preview and print plots. This software offers a solution to users who want to generate random French male and female names. There is a predefined list of male and female names included. The results can be saved as a text or MS Excel file.